ChainLink Research : Research :It's Only Ten More Shopping Days To Christmas! It's Only Ten More Shopping Days To Christmas! As we learned from the ‘black Friday weekend,’ sales are better than last year, but not back to the big highs of the past. Christmas will be an active time, but shoppers are getting so much more savvy about how and where to shop. They will make sure they are armed with the right information, now more than ever, to assure they are getting the best deals. As we and many others have said, mobile apps, RFID and Scan/QR, and social networks are changing the face of shopping. Yelping, Tweeting and other forms of interacting are allowing us to be on the go, and yet get access to information or even home activities, like making shopping lists, cutting coupons and all that jazz. Friends can call or message each other for instant finds (my friends do all the time). “Ann, ur red bpack marked down! Wanna mt 4 coffee later and see it?” Or you can get instant alerts from the vendor when the sales hit. This is terribly useful if there is scarce supply, such as those size six boots. Recently, I received several emails from readers about the mobile shopping and mobile devices for retail issues. One, who was very involved in the development of the ‘event management’ software, asked, “Isn’t the mobile device going to just get glutted with messages?” Simple answer here: Opting in. This got me thinking. Early adopters, in general, are embracers and innovative types, or at least show-offs. They tolerate a lot in exchange for having their curiosity and potential status genes fulfilled. But what of those mainstream users that Bill is asking about? 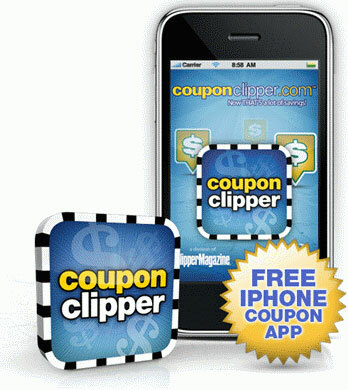 When they turn on these alerts, they will confront an over-confusing landslide of offers, such as “download this app, in exchange for this special deal,” as shown in this coupon clipper example. They may like the first one, but what about all the channels of coupon and merchandisers, direct store subscriptions and promotions? Or going on Yelp for information and locating, then getting more opt in offers? Or all the tweets coming their way? Just as our PC inbox, even for us tech savvy people, is cluttered with information, media and RSS feeds we may or may not get to, the consumer is less able to cope with all of this. And the mobile device is just not a laptop. Those of us who use these smart phones can attest to slow and small, nay, tiny, hard to read text and web sites etc. that are not designed to deal with the mobile presentation. Ok, that might be fixed some day. 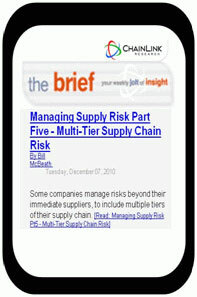 (Our brief was designed to fit nicely on the mobile screen and it does. But even I will admit it is darn small!). So there are technical issues, subscription issues, and marketing best practice issues. And, there are technical answers, yes. But the human’s ability to embrace this all is in question.
. . . not including whatever company blogs or direct feeds may exist. So, we are creating a lot of traffic, a lot of chatter and a lot of clutter, though there are incredibly effective methods, and the well-informed (and trained) are using them. Now, we are back to Bill’s question. We suffer, already, from attention deficit. We suffer interruptions of all types and often embrace them. I am sure that a psychologist may have a better answer to the impact this is all having on the mind. But one thing we know, wherever marketing dangles the bait, buyers are sure to go!